The Hammer Gauntlet Fury bowling ball takes the pearl version of the proven Semtex CFI coverstock and pairs it with the Gauntlet asymmetric core. This ball was designed for medium to heavy oil conditions and was made to offer length through the front with ample midlane and backend angularity. Unleash the Fury! This bowling ball is Carbon Fiber Infused! Carbon fiber is one of the toughest materials on earth. Hammer decided to add this material to the inner core of this ball for added strength and durability allowing them to offer an incredible 3 year warranty. Likes: Great length in the front part of the lane and incredible hitting power on the back end. I'm a High Rev medium to slow ball speed 14-16 miles per hour. My Dual Layout 90 x 2 1/4 x 45 with no extra hole and the surface moved up to 4000 abralon pad with Ebonite Clean N Dull to burn the shine. Dislikes: Better suited for flatter patterns, but can be used for house conditions. Likes: EVERYTHING - I like everything about this ball. It is a perfect compliment to the original Gauntlet in that Hammer was able to maintain the ball reaction in the original and put it in a pearl and not have an extremely different reaction. Everyone should own this ball as it is truly a great high performance asymmetric pearl that is definitely strong. The Semtex Pearl cover is a great compliment to the core. The ball is aggressive and consistent! I love the Carbon Fiber infused Semtex Pearl coverstock used on the Scandal Pearl, so when I heard that the same cover is with the core of the Gauntlet, very excited to hear this. This addition to the Hammer brand provides a stronger coverstock that can handle more oil, yet be strong enough down the lane to cut through the carry down if needed. The Fury cover a little stronger than advertised for a pearl ball and handles the heavier medium patterns with ease. This ball is definitely a great ball for the typical house patterns as you can keep moving left (right handed) and the ball will not quit on you. 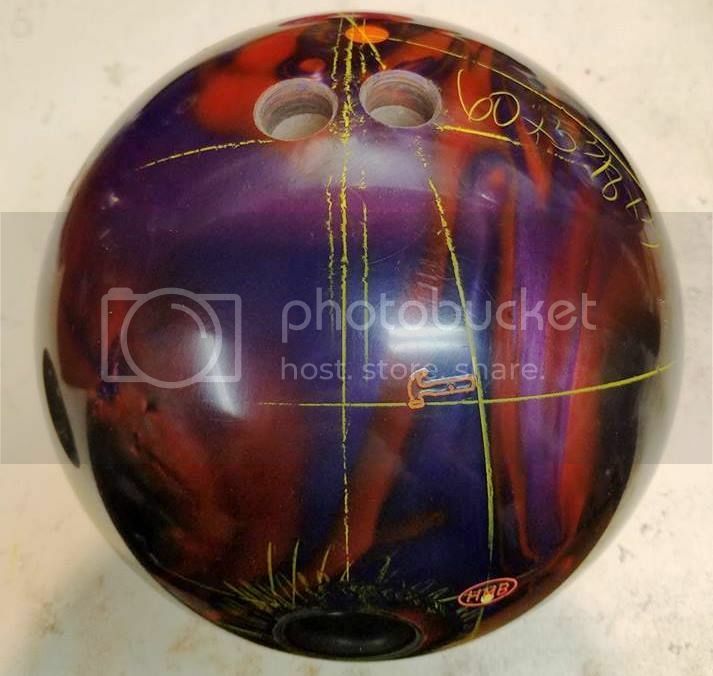 For me the Fury corners more down the lane than the new Black Widow GOLD and really shines when you need to get inside the pattern and need a ball to turn the corner in the backends for various medium to medium-heavier lane patterns. I really like what I see in this new release from Hammer and I think this ball will be a must have ball for those that are looking for something that offers a great motion to have an angular asymmetrical rolling ball in your bag. – The Fury really continues through the pin deck! Very versatile ball… You will be impressed! I drilled mine with a 35 x 5 x 35 layout which put the pin above my ring finger. For me, this ball is much cleaner in the heads than my Gauntlet, still reads the mids, and has a "rolly" back end reaction. If you are looking for a strong pearl that doesn't make sharp turn on the backend, this is your ball. You can watch this ball in action on YouTube on the Average Joe Reviews page. Likes: Everything! 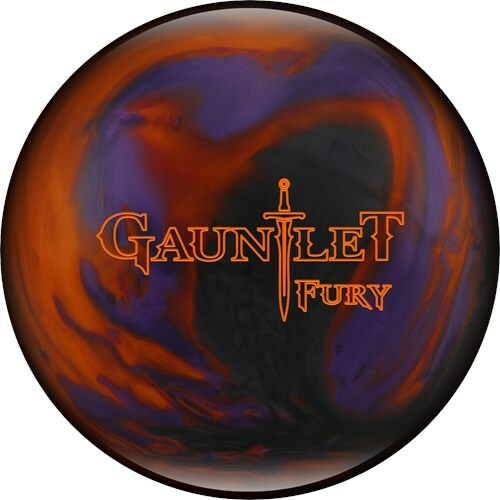 As a mid to low rev player who always uses her Gauntlet, I was really excited about this ball. The Gauntlet Fury has such a fantastic shape and ability to come back from everywhere. It is really a compliment to the Gauntlet, and something I have started to go to after the Gauntlet loses energy due to breakdown. I have used this ball in my Blue pattern league, as well as on house shots, and it works on both well. It seems slightly better suited to the flatter pattern of the Blue league, but works well on THS. Dislikes: A little too shiny out of box. Scuffed the surface, and this ball is money! Likes: The Gauntlet Fury is a great addition to the Hammer line. This ball gives you more length than the original Gauntlet and saves the energy for a responsive back end motion. Great combo to go to once the Gauntlet is burning out due to transition. Dislikes: On fresh longer patterns, the original cover has a little to much shine. Removing the stock shine definitely allows the user to see a foot or two earlier response at the break point. Dislikes: Not the greatest in oil. I really like the big core of the original Gauntlet and it really shines with the pearl cover. This is probably the most angular ball I have thrown from the EBI family to date. I will say it does struggle a bit for me on patterns with heavier amounts of oil but once it starts to break down, I can go to this and not sacrifice hitting power. We test on THS and sport conditions with 4 testers. We saw varying motion from the Gauntlet Fury depending on the tester. CJ saw a really strong ball with a very strong flip down lane and much stronger ball than his Black Widow Gold. I saw a moderately strong pearl asym which is pretty close to my Black Widow Gold but a different shape. Bryan our stroker saw a very clean motion needing more friction to be effective while seeing more motion from his Gold. In the end, this is an interesting piece that seems to offer varying reaction to different style bowlers and not just “relative” reaction based on the rev rate. Personally, I like the motion and see it as a compliment to the Black Widow Gold when I feel like I want to see a variation in ball motion but same board coverage. This is the 2nd release in Hammer’s HP line Guantlet!! This is special pearl ball that can read the mids and have strong continuation down lane. This ball will blend any wet/dry with ease. I really like how clean and controlling this ball is. Can’t say enough great things about Semtex pearl cover stock. This is a ball you really want in your bag!! This is the 2nd release in Hammer’s HP line Gauntlet!! This is special pearl ball that can read the mids and have strong continuation down lane. This ball will blend any wet/dry with ease. I really like it's skid snap reaction on oil. It will read the mids on a drier medium shot as well. Took a minute to get used to the power and downlane movement, but I can’t say enough great things about this Semtex pearl cover stock. This is a ball you really want in your bag!! So put her in motion and let her rip!